Why Are Some People Afraid of Elevators ? The fear of elevators is a common phobia. As a property manager with elevators onsite, it's important you understand why some tenants face this and the do-able actions you can take to help and to maintain a pleasant tenant experience for all. Here's how. You can’t have any control over tenants’ emotions and fears, but you should be aware of them. Understanding these fears can often be the first step toward offering the best customer experience and increasing tenant satisfaction. After all, at its root, good customer service is simply treating tenants and guests how you would like to be treated, right? Here, we explore the common (but often treatable) fear of elevators, and what can be done about it. Over 210 billion passengers use elevators in the U.S and Canada every year, according to the Elevator Escalator Safety Foundation. In New York City alone, there are about 70,000 passenger elevators, according to the city’s Department of Buildings. People there take about a billion elevator trips each year. However, for many, this very common experience continues to cause them unease. During these rides, many people feel anxiety, which can range from mild to severe. Agoraphobia: fear of being trapped without a means to escape. About 5 percent of the global population suffers from claustrophobia, according to Villines. When it comes to elevators specifically, those who suffer may fear not just the malfunction, but the fear of experiencing a panic attack. Kings III emergency dispatchers often hear callers from malfunctioning elevators say they cannot breathe. This typically occurs as panic sets in, and during an episode, the likelihood of a pre-existing condition could make itself known. This might include underlying heart problems and asthma, which could easily develop into a medical emergency. For those who suffer from this type of fear, it can be particularly crippling. 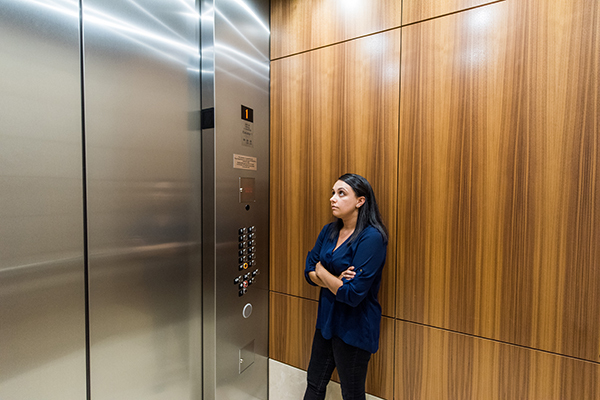 Psychology Today categorizes the fear of elevators as a “hard phobia,” meaning that the elevator ride does not last long enough for the phobic person to calm down. Know someone who is affected by a fear of elevators? A possible treatment for elevator phobia: practice sessions, according to the article’s author, Dr. Fredric Neuman, M.D. Dr. Neuman recommends practice sessions to occur daily, or at least as frequently as possible. He writes, “they should last at least an hour, which gives the phobic person time to calm down if he/she has had a panic attack. It is better to have one practice session that lasts two hours, rather than two one-hour practice sessions. The patient is more likely to calm down and experience the phobic situation for a longer period of time without being upset. Dr. Neuman also talked to The New York Times, which stated that elevator phobias appear to be “eminently treatable,” and that a behavioral modification approach is common and favored. The therapist typically accompanies the patient to the elevator in the patient’s workplace, entering and closing doors a few times, though without actually going to another floor. Modern technological advancements and current industry regulations are strong when it comes to elevator safety. Today’s elevators are supported by cables, making it virtually impossible for them to free fall. Elevators carry emergency phones, allowing passengers to call for help. Elevators are not airtight, so the passengers will not run out of oxygen. Assure your tenants that your elevators strictly follow safety codes (and check to make sure that they do!). 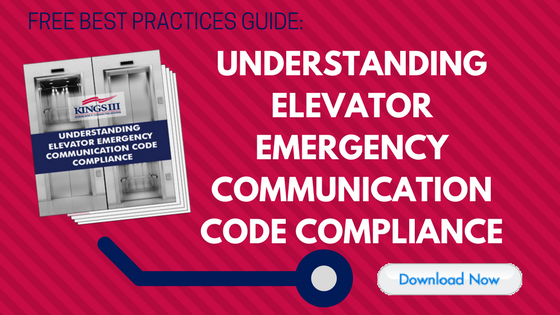 See our blog post: Your Quick and Easy Elevator Code Checklist. Carry a book of crossword puzzles you can take out when you need to. Snap a rubber band on your wrist. Put your keys in your pocket and try to distinguish which is which by feel. Have some coins in your pocket and try to distinguish which is which by feel. Pop some strong mints or sour candy in your mouth. Circle all the five-letter words on a newspaper or magazine page. Put a pebble in your shoe and press your foot down on it. Make lists: ordinary tasks, people to catch up with, life goals, etc. Count the tiles on the floor or ceiling. Go through the alphabet and think of a girl's name that begins with each letter. Do the same thing with boys' names. Play a memory game by recalling telephone numbers you call often. Needlepoint or any other type of sewing. Count down from 100 by threes. Carry a prickly hair curler and squeeze it in your hand. Choose a word and see how many other words you can think of that are related to it. Read. If necessary, take your newspaper, magazine or book and try to read it upside down. Most importantly, lower your fear by riding an elevator every day! Read more about how to stay calm in a stuck elevator. As a property manager, you ought to consider how your elevator telephones are monitored, knowing this can be such a debilitating fear for many passengers on your property. At Kings III, we understand that elevators can be associated with fear and possible entrapments and other emergencies. Our emergency elevator phone systems are staffed 24/7/365 by skilled, trained and compassionate professionals. Our operators are Advanced Emergency Medical Dispatch certified (AEMD), meaning they are able to provide expert, step-by-step arrival instructions (including CPR) as needed. An AEMD certification meets and exceeds all national safety requirements and allows for timely attention in the event of an emergency. Contact us to find out more about how Kings III Emergency Communications can help your tenants’ peace of mind.